Attracts and kills flies. Use around houses, garbage cans, and non-commercial poultry houses, barns, and stables. Spinosad formulation developed from a naturally occurring organism. 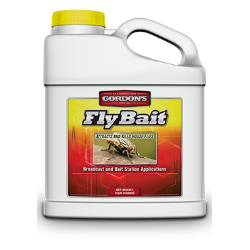 Ready-to-use in broadcast and bait station applications. Contains fly-attracting pheromone.